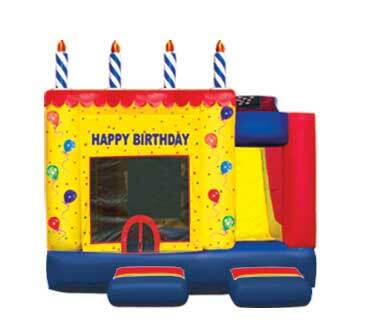 Central NJ Children's party rentals inflatable moonwalks, jump houses, bouncers, bounce houses, bouncies, air castles, obstacle courses and inflatable slides. and Combo units. Combinations units do all - jump climb slide obstacles and basketball in one awesome unit! All inflatables are fully licensed and insured. EXCLUSIVE!!! We rent Fully Licensed, Official, legal Disney, Universal Studios, 20th Century Fox, Nickelodeon, Marvel Comics, WB (Warner Brothers) and The Incredible World of DIC Inflatable Fun Houses, castles, jumps, bouncies, obstacle courses, slides and themed combo units! We have more licensed and original themes than any other company in NJ! 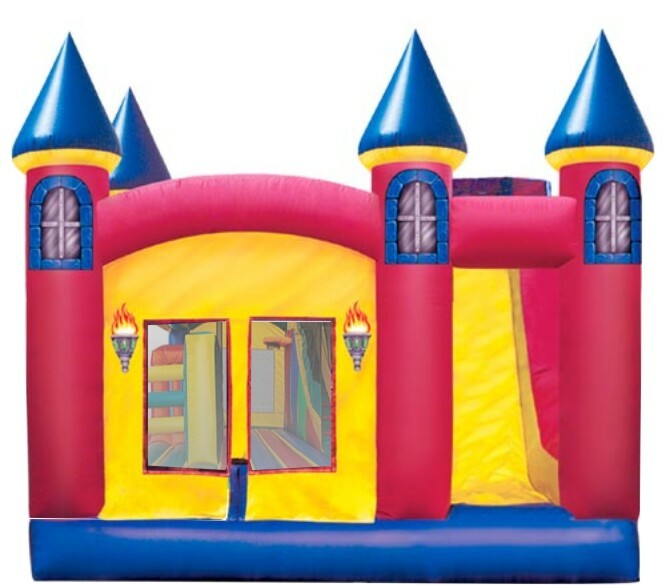 We also carry a variety of castles, hot air balloons, rockets and three, four and five in one combination units (3, 4 and 5 in 1 combos) which have jumping, climbing, sliding, obstacles and basket ball hoop areas all in one! How else can yu go on a safari jungle 4 in 1 combo; jumping through the rainforest, see a giant snail, climb a mega mushroom, scale a mountain and slide down an elephants trunk all in your own backyard! We have obstacle courses and an incredible Colossal 5 in 1 Combo: jump, climb over, under and through obstacles, shoot hoops in side or out, climb hill & slide the slippery slope! Survive the heat with fast water slides or gentle inflatable water slides. 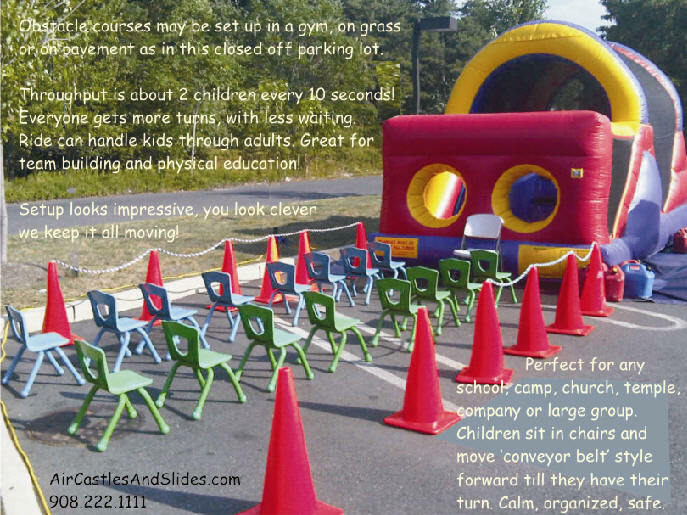 Themed jumps, slides and obstacle courses for schools, camps, preschools, events and your child's backyard party! Licensed themes are real, official designs, no knock offs! 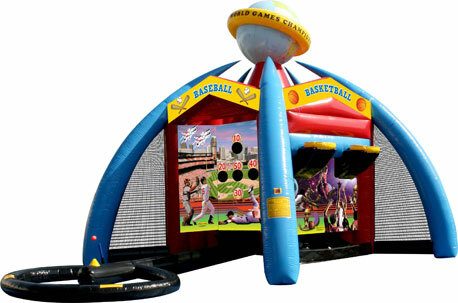 Deluxe Carnival Games School Fun Day Traditional Carnival Game packages. Company Fun Day Team building corporate events Reunions Family parties Communions Baptisms and First Birthdays are all our specialties. Click side links for more details of some of your favorite Air Castles and Slides! 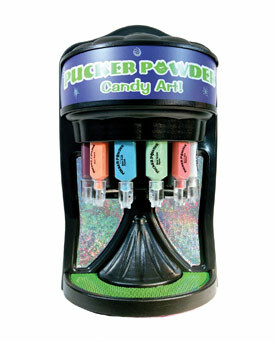 Use the information form for a complete listing of all of our products and prices. "Like" us on Facebook for special discounts! 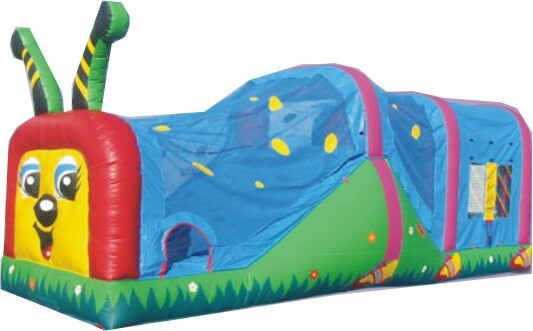 All of our inflatables (moonwalks, jump houses, bouncy units, air castles and slides) are completely insured. 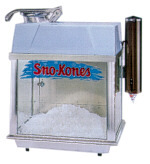 Our party games (carnival games) are insured along with our Fun Food Machines; popcorn machines, cotton candy machines, snow cone machines and even our bubble machines! Every year we renew our air castles and slides permits and have each and every inflatable, jumper and slide combo unit, NJ State inspected. New Jersey currently has the strictest standards for inflatable rides and games, and we meet or excel! Read what the State of NJ said about us. NJ requires itineraries in advance of every public rental so they can inspect the products and setup before public use. We also voluntarily participate in independent third party inspections as members of ROAR. We have always passed these inspections with 'flying colors.' Fire inspectors and State inspectors are happy and very confident with our products and setups! 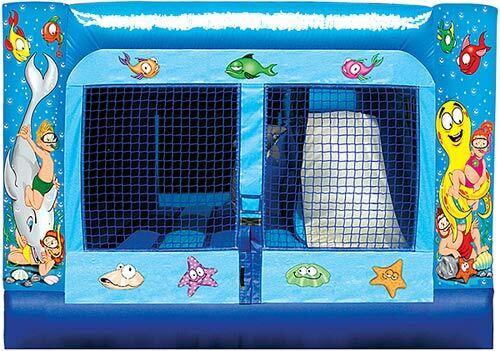 Every licensed inflatable, moonwalk, jump house, air castle and slide is clean and disinfected before your children use our units. As a special precaution the last thing our staff does after the jump house is set up is to spray all the bounce house surfaces your child may contact with Lysol brand disinfectant! You know your children are using clean inflatable units because the moonwalks are cleaned and sprayed again right in front of your eyes! Units supervised by our staff will also be disinfected during the rental at slow jumping times, like during cake time. We stop germs from spreading! 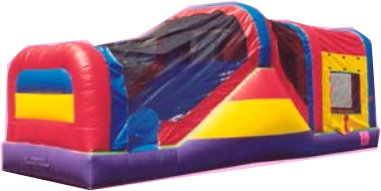 Licensed Inflatable air castles, jumpers, and bounce houses all have another special thing in common, - an attached safety step sewn in by the manufacturer so your children won't fall. These photos are provided by the manufacturer and most do not show the safety step, but every single jump house we own has a safety step! Air Castles and Slides must be supervised at all times. No exceptions, it is the law in New Jersey and required by insurance companies. NJ requires supervisors to be certified. We offer two ways to meet this very important requirement. We can provide direct supervision for your party and event, or we can train and certify you to supervise your own backyard party. All public, community, and business events must be supervised by our staff. Our full time staff have been trained in CPR and First Aid. We encourage all of our staff to get training in both CPR and First Aid, though we never want them to use it! We just feel fully trained staff make a much safer environment for all of our children! We, believe in keeping abreast of all the new inflatable safety issues, insurance regulations, jump house concerns, air castles and slides opportunities that are industry wide, so we belong to the official organization for the inflatable business (International Inflatable Products) and we subscribe to the industry journal. Our products are so good, clean and fun that they were recently featured on a "Good Morning America" special on America's Most Fun Neighborhoods! We have also been on news programs such as ABC NEWS. In the ENTIRE USA, they know you are getting the best products and services from us! Call and Book yours today! On Line Training; I just wanted to say thank you for such a professional and well run company. The rental process was easy, efficient and well worth it. The online training was very helpful. I read the material and thankfully was well prepared when we lost power. The castle began to deflate and parents panicked. However, as a Certified Supervisor (which I bragged about the entire party), I was able to keep the parents calm while having enough time to get the kids out safely. Prior to the outage, parents teased that I had to take a test and I was so serious about my whistle, after the incident, we all appreciated my ability to handle the situation calmly. We provide party services, and supervision. 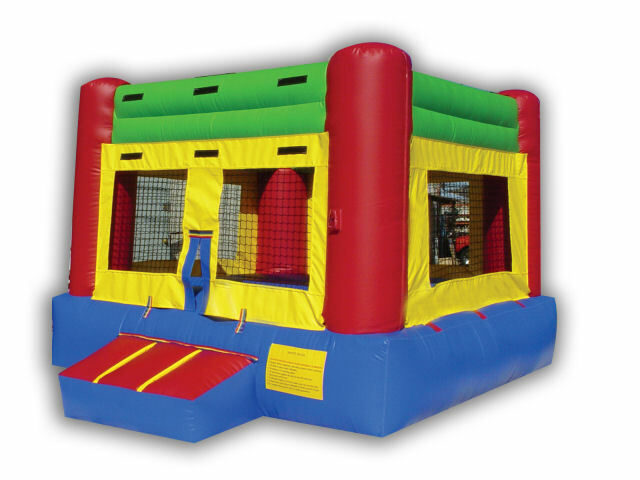 We rent jump houses, bouncers, air castles and slides, including inflatable combo units. 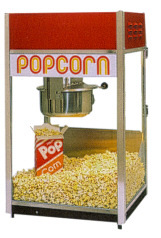 Carnival games, party games, 'What to do in a pinch' games appeal to wide variety of ages. And more to Central New Jersey. We are centered around Middlesex, Union and surrounding counties. We will deliver, set up, take down and return to our warehouse. Complete the form, Email or call today for your children's party! With all of these noble images jumping around, - castles, princes, princesses, lords, ladies, Olympians, international athletes and planning parties for others, we want to award and acknowledge the people in our neighborhood who help to make the world a better place by frequent spontaneous acts of kindness, or things they do regularly, like volunteer. Often we do good things that never get acknowledged. We believe that it only takes one person to change the world, and together we can lighten the burden of others. We want to acknowledge the good things you do! free lawn card decoration rental. We also hope it will lighten your stress on party day and allow you to enjoy the day more. 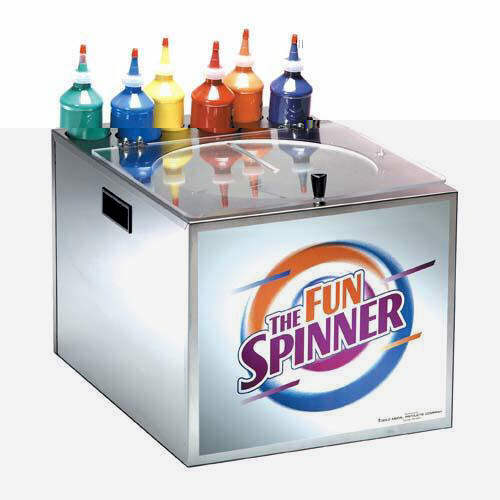 Whenever you look at the awesome bubble making machine, for example, you will smile and maybe even share with your family and friends that you 'got that free' because you are a Good Neighbor. So tell us what good neighborly things you do! Ready to Order Click here! Fill in the Information Form with your information, and thanks for all the good you do for our neighborhood. We will even send your child a birthday card! 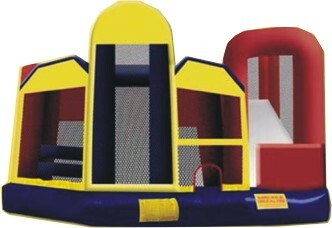 Air Castles and Slides for: moonwalks, jump houses, bounce houses, inflatable slides, obstacles and party rentals. 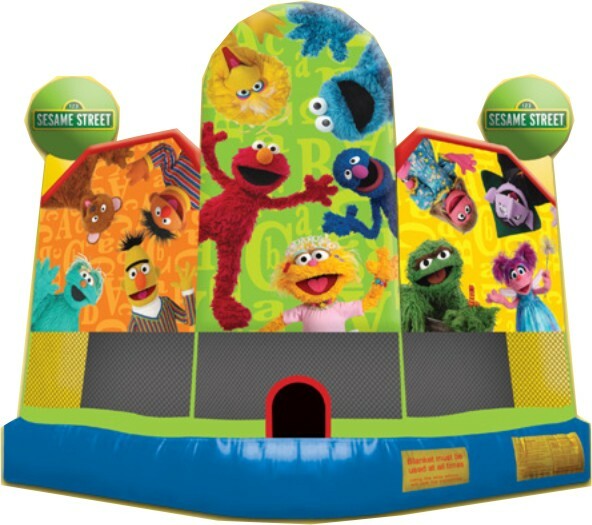 Our inflatable jump and bounce house rentals are all clean and fun with special safety features factory built into every one of our moonwalks. 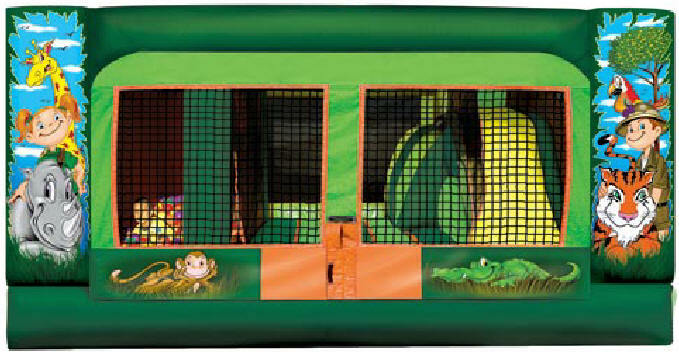 Children love to jump and bounce in our air castle moonwalks. 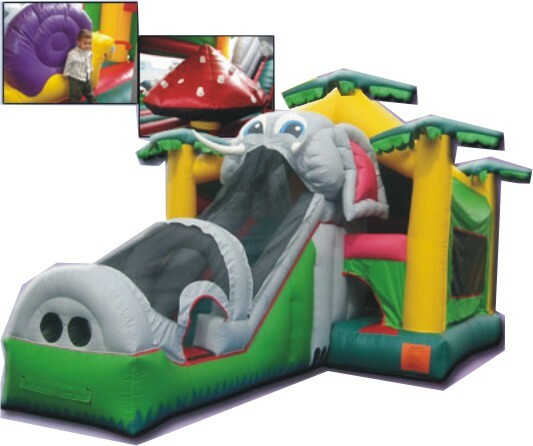 slide down inflatable slides and survive the obstacle challenges. Teens and public rentals are best for the Supreme Obstacle course and the World Of Sports Games. .
and occasionally Morris, Essex and Hudson Counties too. Edison, Plainfield, Piscataway, Middlesex, Bound Brook, Bridgewater, Dunellen, Highland Park, South Plainfield, Fords, and more like . . . Avenel, Bedminster, Basking Ridge, Carteret, Colonial, Cranbury, Dayton, Dunellen, East Brunswick, Edison, Fords, Green Brook, Fords, Helmetta, Highland Park, Iselin, Jamesburg, Keasbey, Kendall Park, Laurence Harbor, Metuchen, Middlesex, Milltown, Monmouth Junction, Monroe, Morgan, New Brunswick, North Brunswick, Old Bridge, Parlin, Perth Amboy, Piscataway, Plainsboro, Port Reading, Sayreville, Sewaren, Somerset, Somerville, South Amboy, South Brunswick, South Plainfield, South River, Spotswood, Woodbridge, and more. Use our Information Request form, and Call to book your New Jersey party today!